Celebrating 26 years on the Trail! Join us for a three-day, 100 mile ride along the Greenbrier River Trail and help to improve lung health and save lives! Check-in Thursday, May 16 at Greenbrier Youth Camp where participants will then be transported to the Inn at Snowshoe. 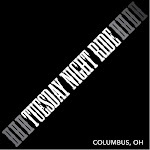 Our ride begins Friday morning with a 34-mile ride and continues on Saturday with a 44-mile ride. During this time you will go through two tunnels and enjoy relaxing lunches along the river. The final 22-miles of your journey will be completed on Sunday by noon, which leaves time to visit the area and make the trip home. The trail is hard packed and bicycles with large, wide tires are recommended. Cyclists with varying levels of experience are invited to participate. All meals, as well as refreshments on the trail, are included Friday through Sunday's breakfast. Hotel rooms are provided on Thursday and Friday nights at the Inn at Snowshoe. Saturday night accommodations include bunkhouse type lodging at the Greenbrier Youth Camp or bring your own tent and camp under the stars.